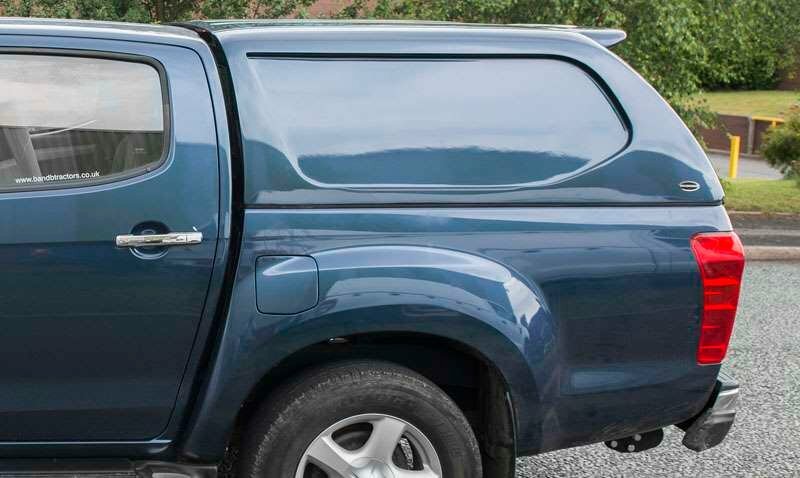 Isuzu continues its upwards trajectory in the pick up market with the D-Max. Jonathan Crouch reports on the revised version. 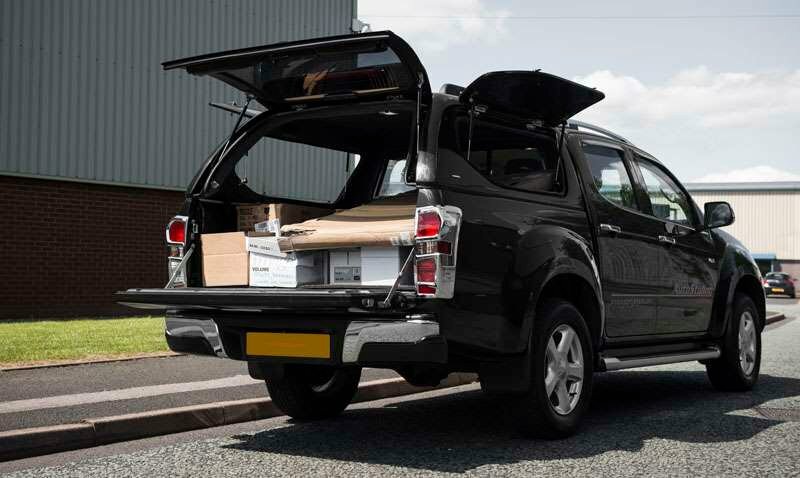 With this improved D-Max, Isuzu has become a more competitive contender in the growing UK pick-up sector. 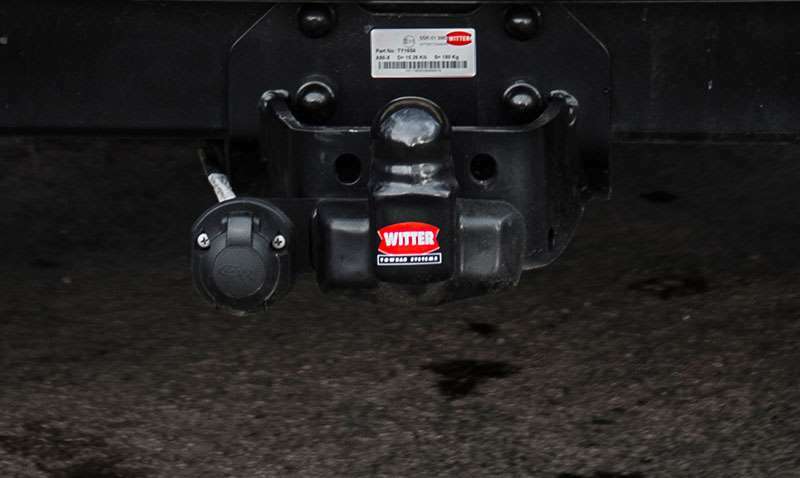 It gets revised suspension, a slightly higher payload, an improved interior and standard Trailer Sway Control. 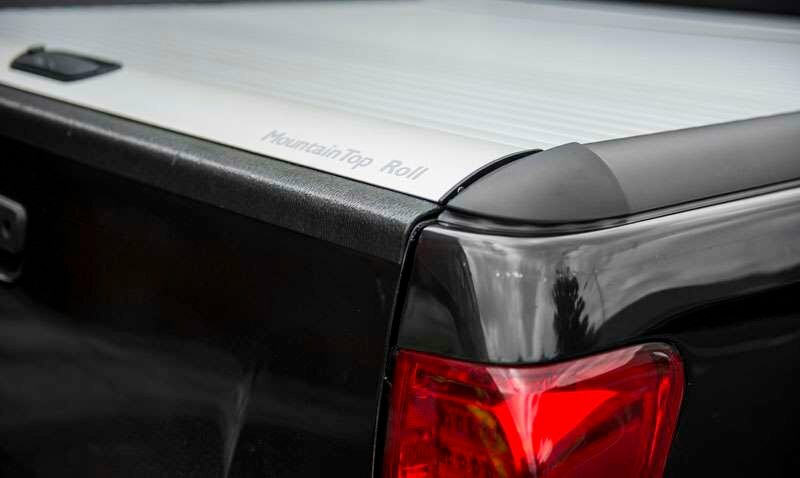 As before, there's an efficient 1.9-litre turbo diesel engine that can haul and tow hefty loads through the wildest terrain you're likely to come across. Plus as ever, there are three bodystyles to suit a wide range of buyers. Smart, tough and affordable, it looks set to do very well. 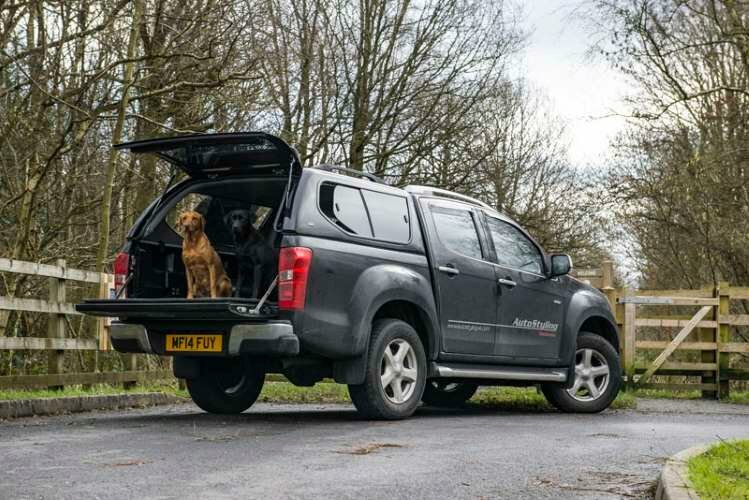 Within the confines of the kind of vehicle a tough pick-up can be, Isuzu's D-Max represented a huge dynamic step forward for its brand when it was first launched back in 2012. The vehicle's only major achilles heel back then was its engine, a relatively inefficient old-tech 2.5-litre diesel unit. So the Japanese brand moved to improve things, replacing this powerplant in 2017 with a new 1.9-litre diesel that though less torquey, was much cleaner and more frugal. It's since built upon that update with a more advanced 3-piece leaf-sprung suspension system and a useful package of detail updates. 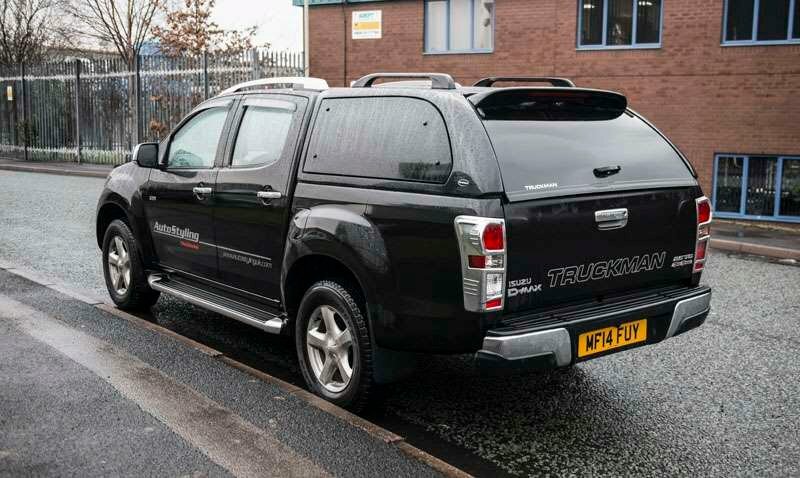 Rival pick-up models can match this D-Max model's running cost figures, but too often, they're tucked away in the corner of a sales showroom really dedicated to selling passenger cars. Will such a place really support a dedicated pick-up person when they really need it? And will the vehicle in question really be as capable in the Serengeti as it is in Surbiton? 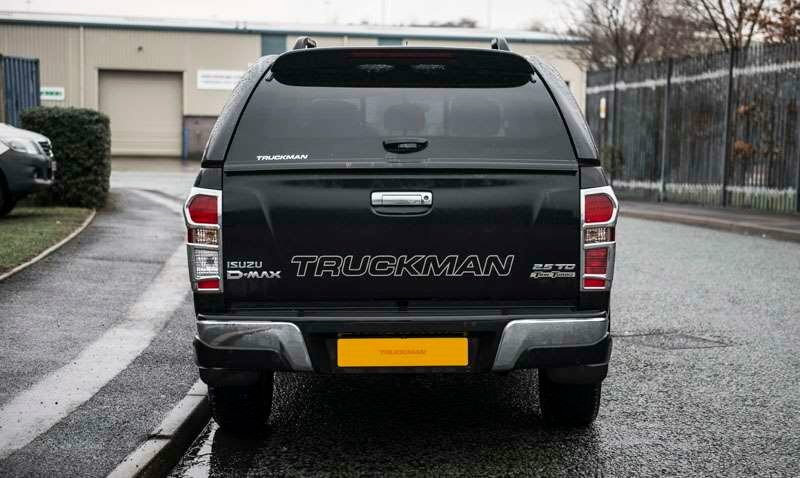 With this D-Max, you know you've little to worry about on either score. 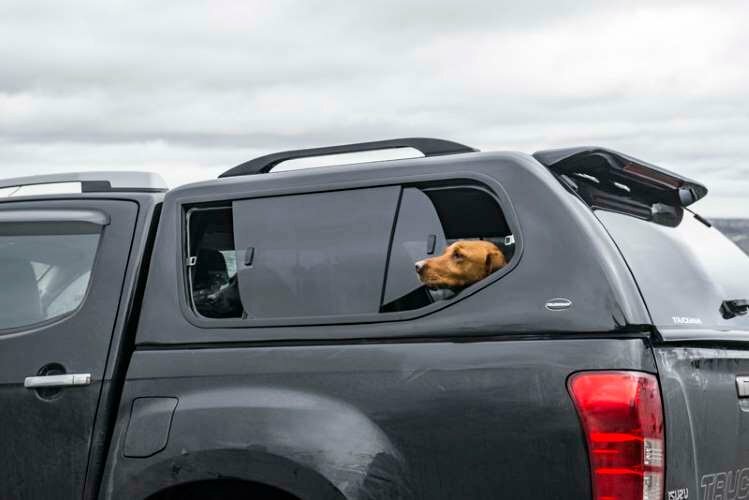 With Isuzu, it was always that way. It's just that with this model, there's a little more polish with the product on offer. Let's check it out.. 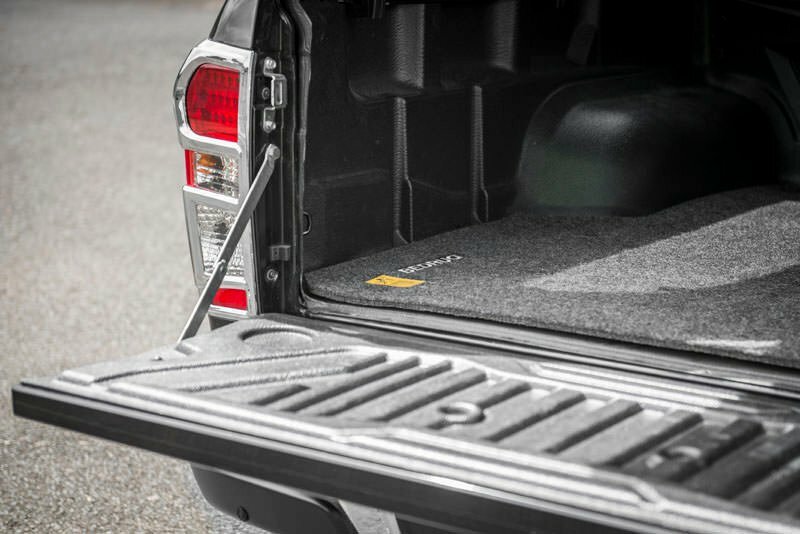 The major change made here is the way that the Double cab variant's suspension has changed from a 5 piece to a 3-piece leaf spring suspension for improved ride comfort and reduced noise levels. Otherwise, it's much as you were. 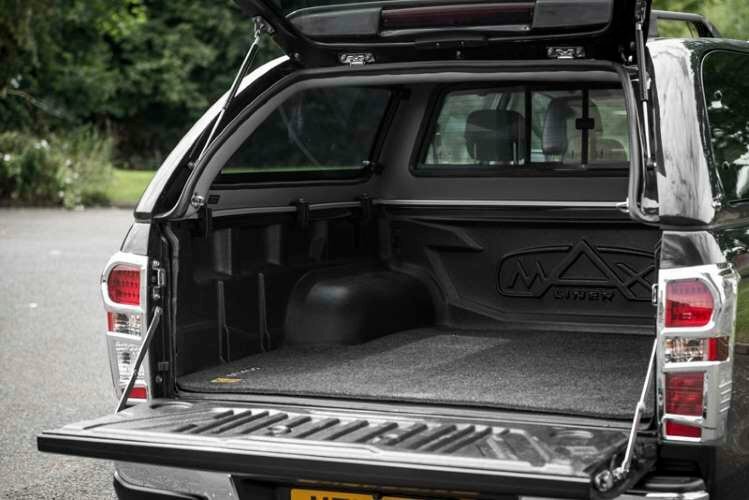 Pulling power is the first thing you notice about this D-Max once out on the road. 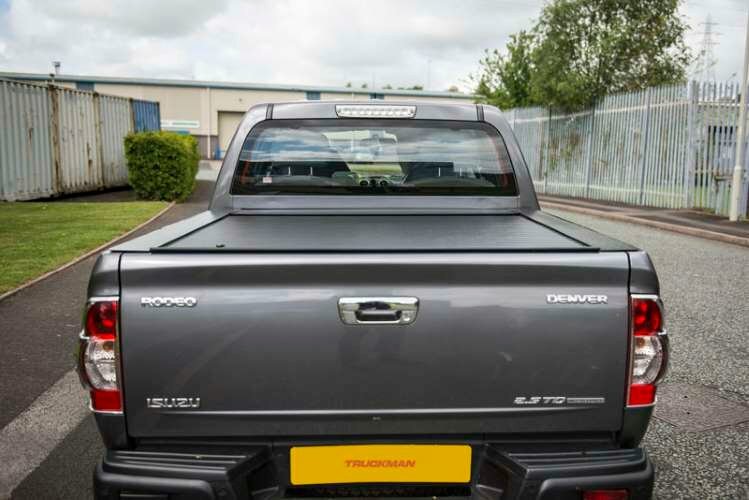 Though the single diesel engine on offer is relatively small for such a beefy pick-up (1.9-litres in size), the power output (164PS) is quite sufficient and there's a willing 360Nm torque output. 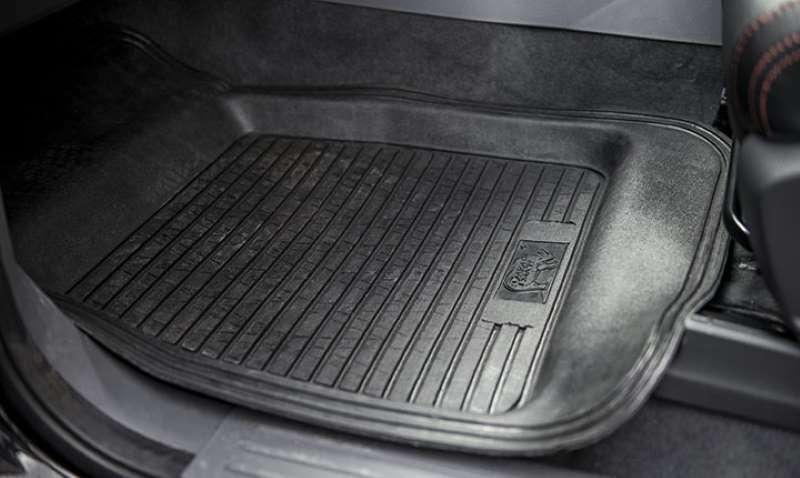 That kind of grunt makes low speed urban work easy and tough muddy inclines straightforward. 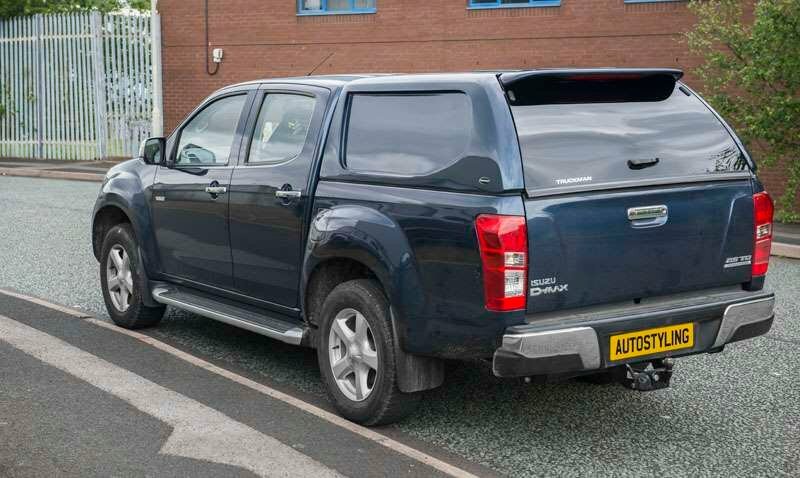 It's also a major reason why this vehicle can tow a braked trailer of up to 3.5-tonnes - usefully more than an equivalent Fiat Fullback or Mitsubishi L200. Trailer Sway Control is now standard. 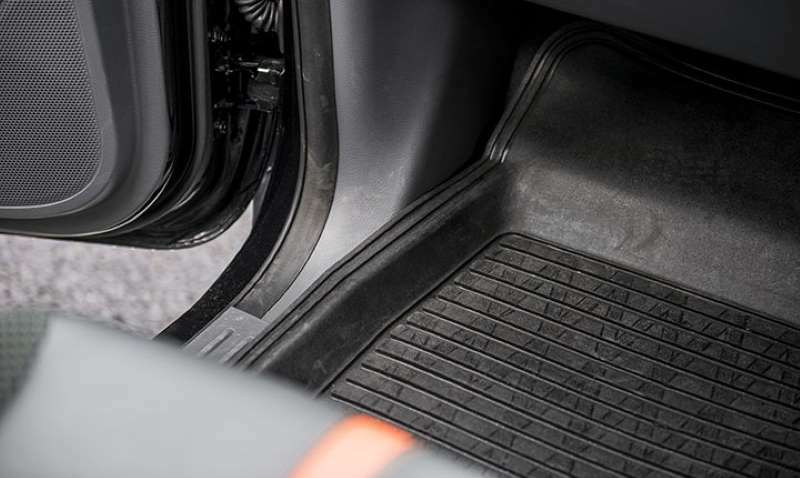 For wet or icy tarmac or light off piste work, you can take the opportunity, at up to 60mph, to twist the centre console dial and select high range all-wheel drive. 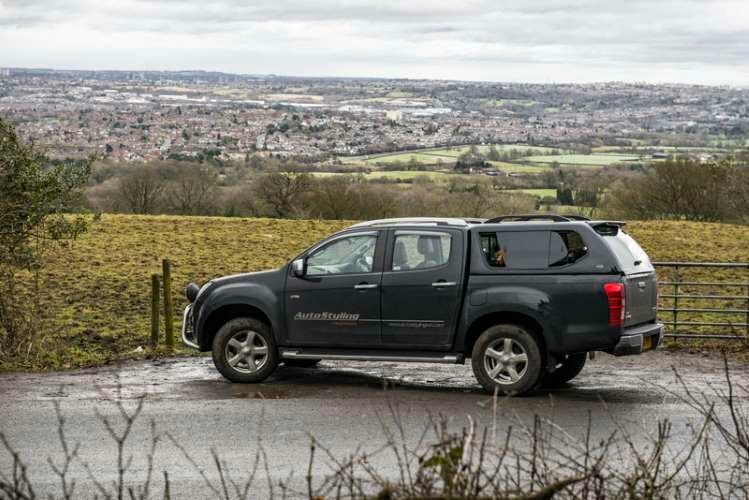 It takes a second or so for the front wheels to engage but when they do, the D-Max feels notably more sure-footed on the slippery stuff. 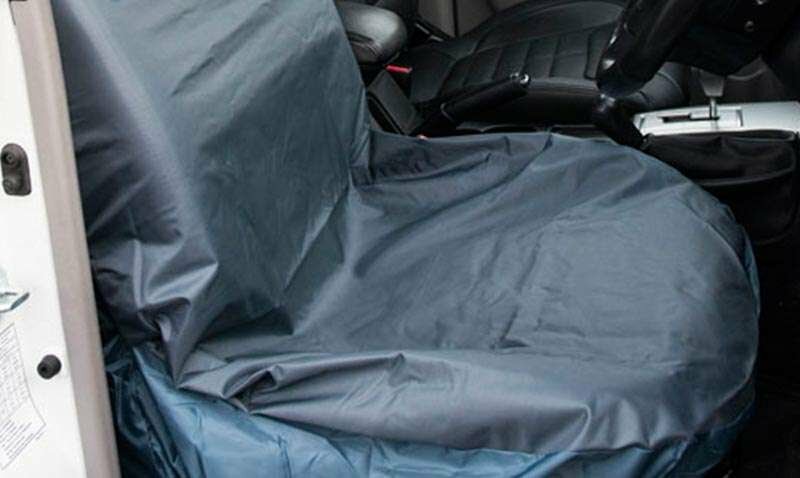 Of course, once in a while, you'll need to do more, occasions on which you'll be further twisting this dial to engage the full low-range four wheel drive mode, something that can only happen when the vehicle's stopped. 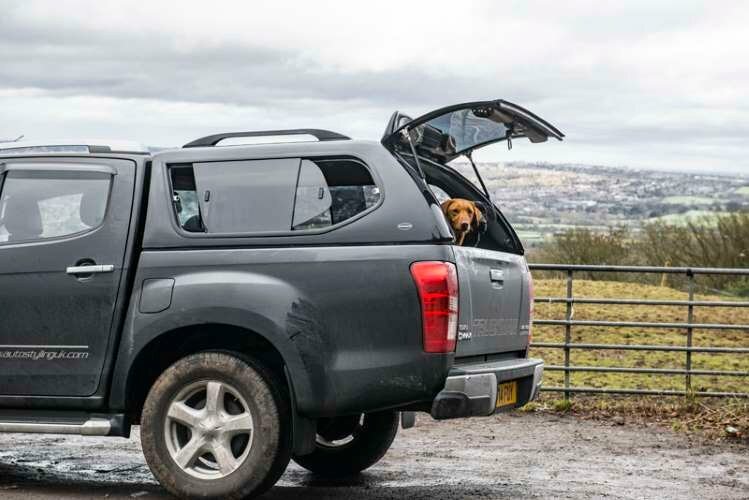 In this mode, you really do get an incredibly accomplished off roader, aided by a well chosen first gear ratio that's an ideal 'crawler gear' over rough terrain on which you'll appreciate ground clearance that at 235mm is much higher than you get with most other rival pick-ups. 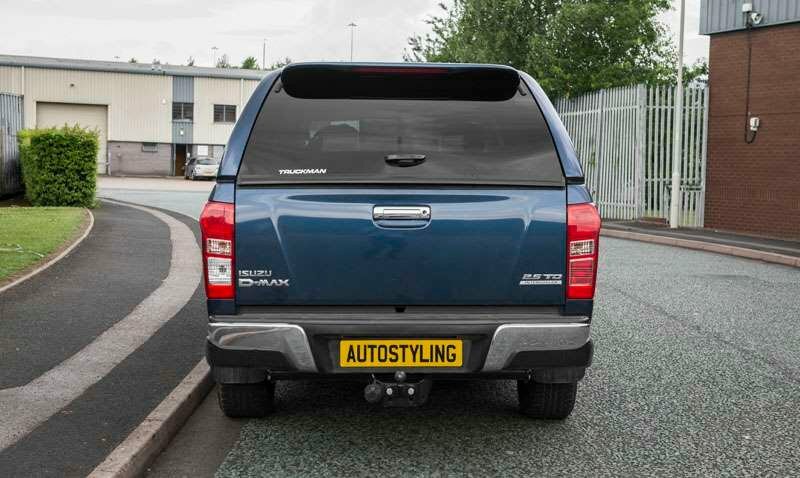 Styling was one of the things buyers always liked about the D-Max, so Isuzu hasn't changed it much in recent years. This means that the same rakish, wedgy styling has been retained, a shape that's supposed to look 'tough, poised and ready for work'. 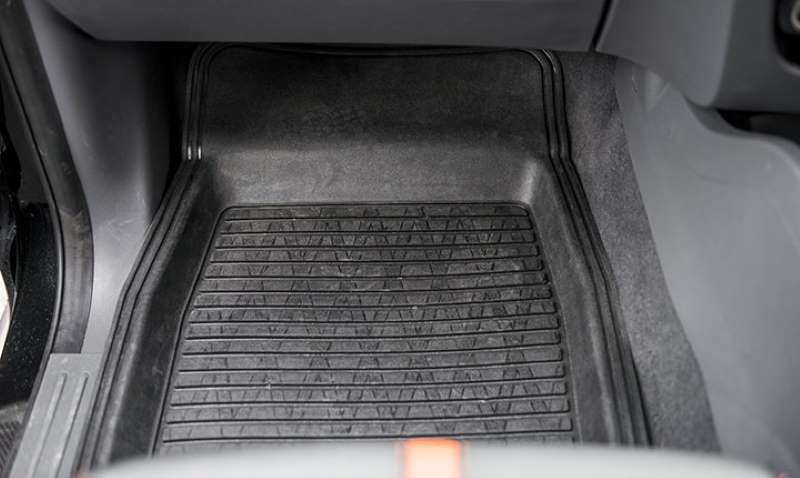 The large front grille is decorated with daytime running lights and flows into an A-pillar that's set at an acute angle leading to the relatively low roofline. 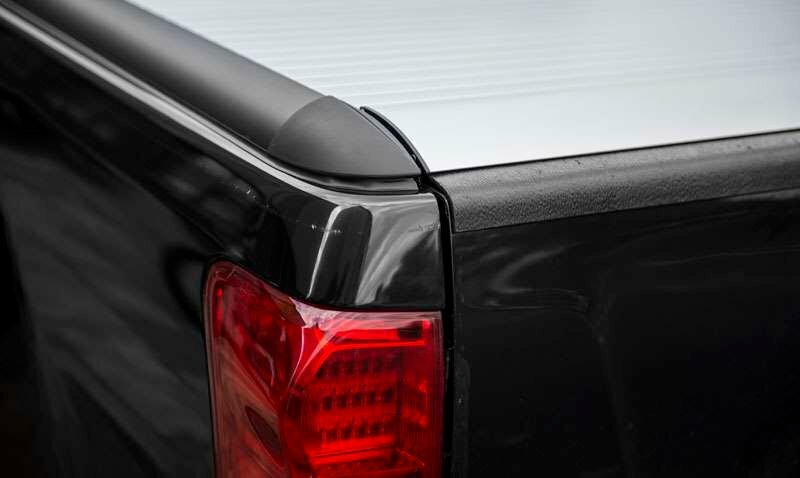 At the rear, you'll find a set of large tail lamps, which feature LEDs on higher-specification models. 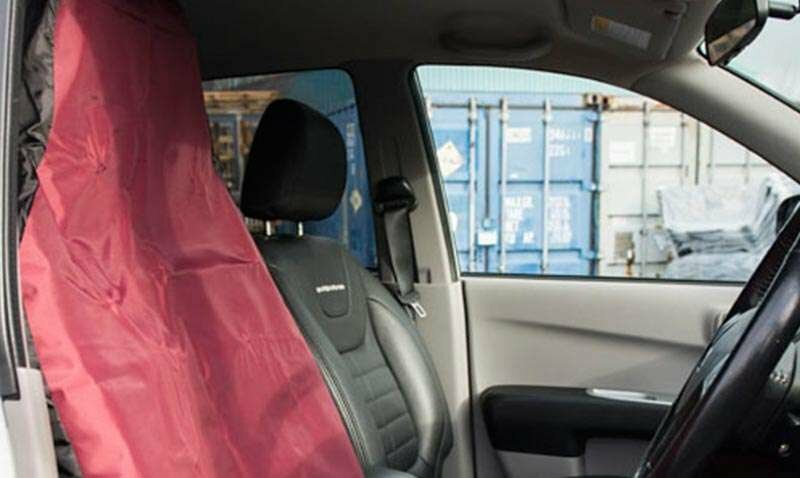 Climb inside this improved model and if you were familiar with earlier versions of this design, you might notice that Isuzu has updated things a bit, adding soft pad inserts to the arm rests, binnacle and utility box lid. 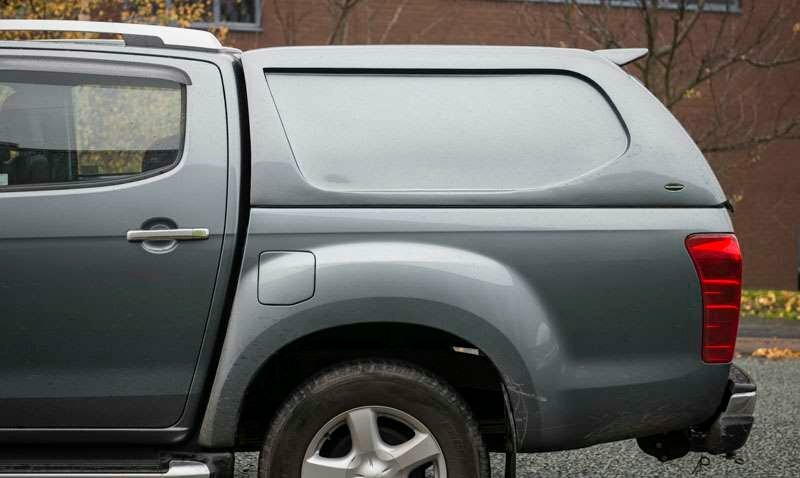 Gloss black trim has been added to the window switches, air vents and glove box, which also incorporates smart D-Max badge. 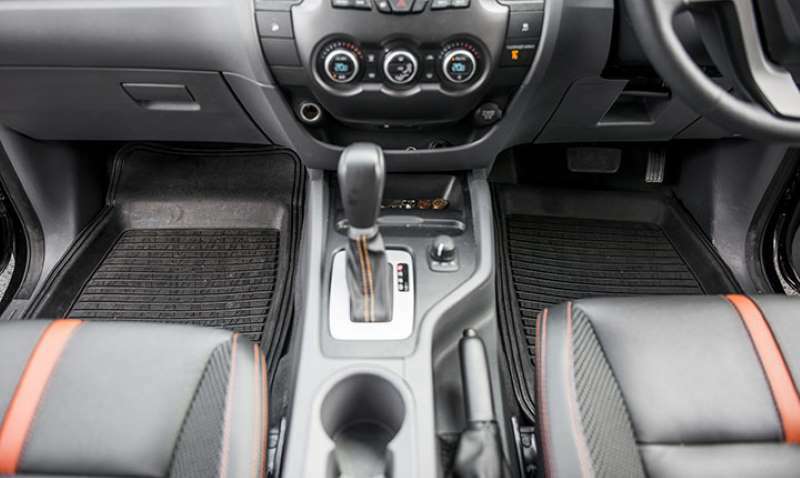 As before, there are wide-opening doors, and you're greeted by an interior that's hard-wearing and cleanly styled. Plusher models feature a revised range of touchscreen entertainment systems equipped with Apple CarPlay and Android Auto systems, so you can mirror in your smartphone. 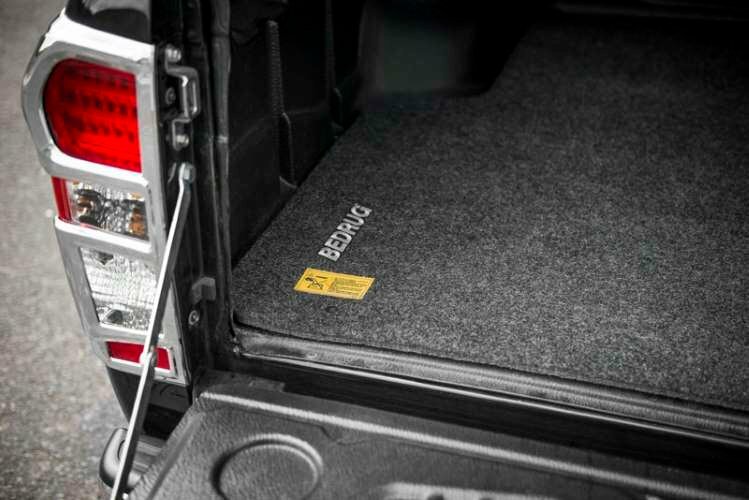 The back seat is more comfortable than you might expect it to be, thanks to a long wheelbase that facilitates decent head, leg and shoulder room. 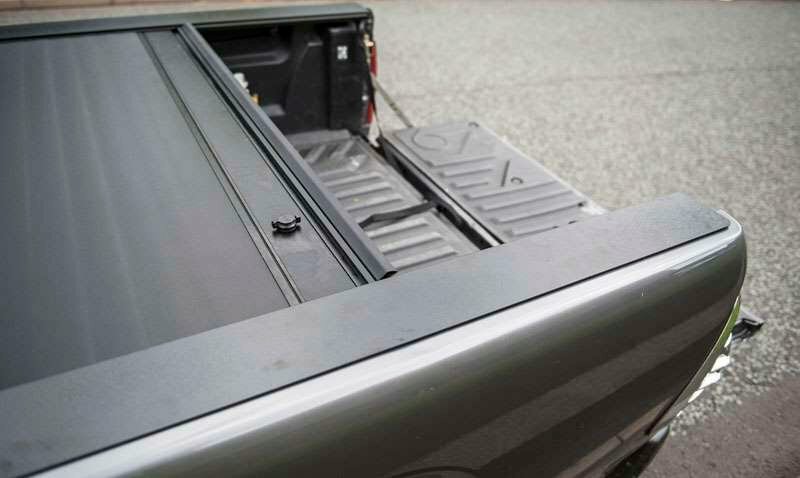 Plus the seat back isn't as vertically inclined as it is on some pick-ups, so you get greater comfort on longer journeys. 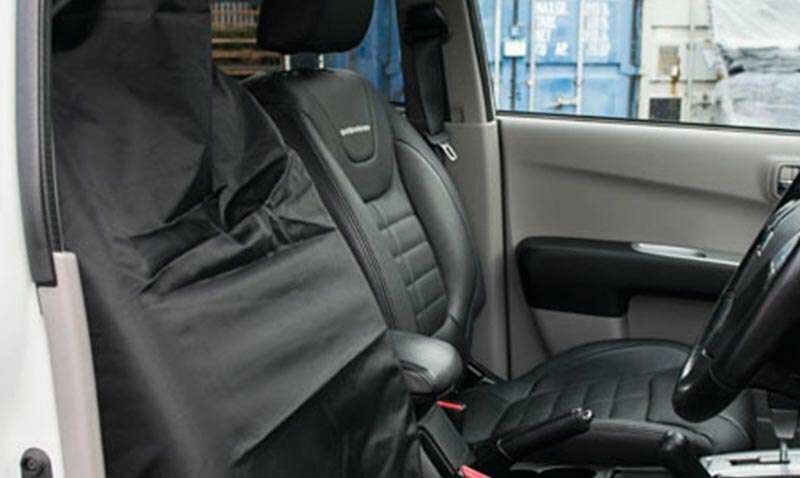 One nice touch is the way that 60/40 split-folding rear seats enable you to more flexibly use this rear passenger space for packages, should you so wish. 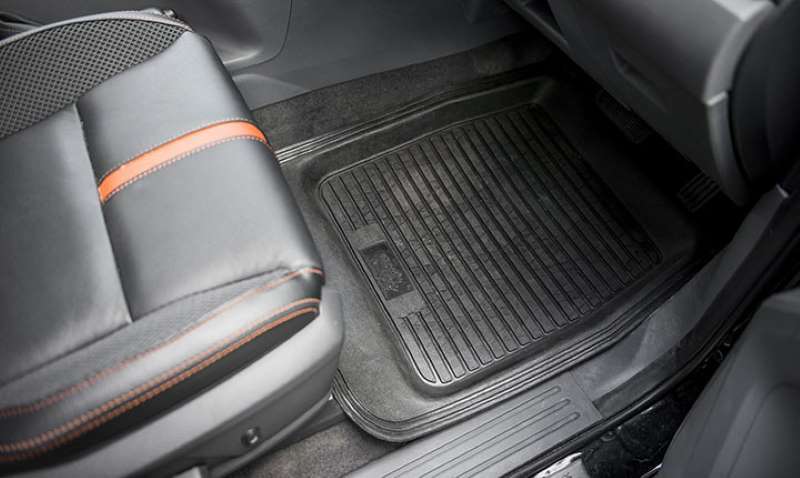 Additional storage compartments in the floor under the rear-seat base are also useful for keeping things out of harm's way. 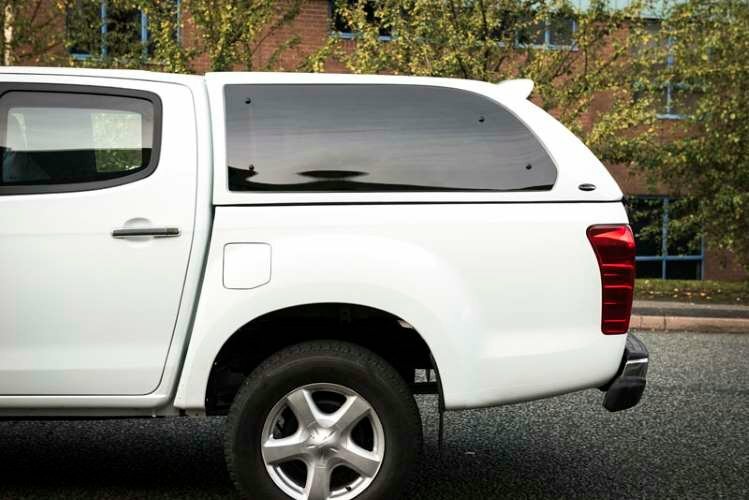 The previous D-Max range line-up has been retained, so there are 'Utility', 'Eiger', 'Yukon', 'Utah' and 'Blade' trim levels, with a range of single, extended and double cab variants available. 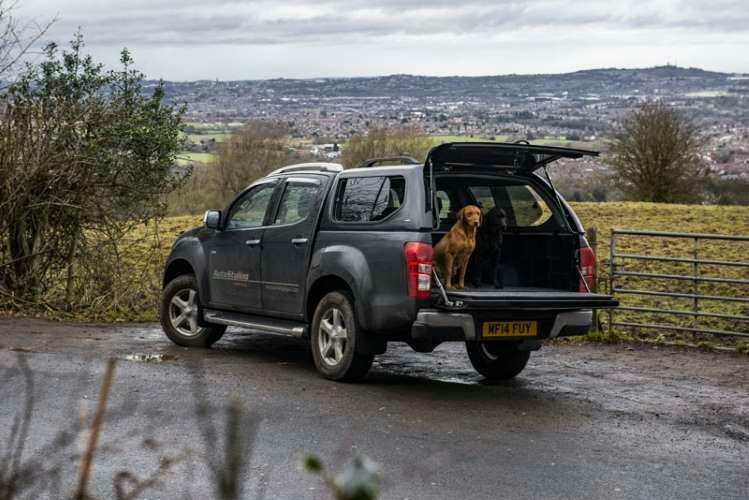 The entry-level 'Utility' D-Max, priced from just under £17,000 ex VAT comes equipped with LED daytime running lights, Hill Start Assist, Hill Descent Control, Bluetooth connectivity, power windows and air conditioning. 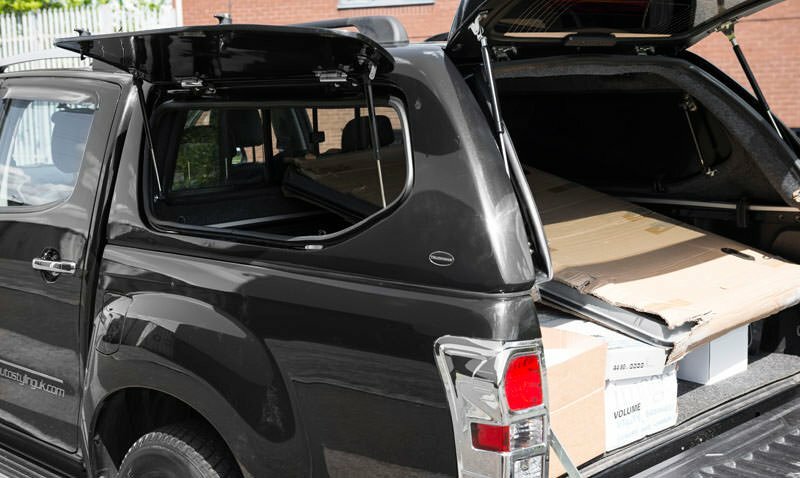 The 'Eiger' double cab (from around £21,500 ex VAT) adds a reversing camera, 16-inch alloy wheels, body coloured bumpers and an audio system with CD player and 6 speakers. 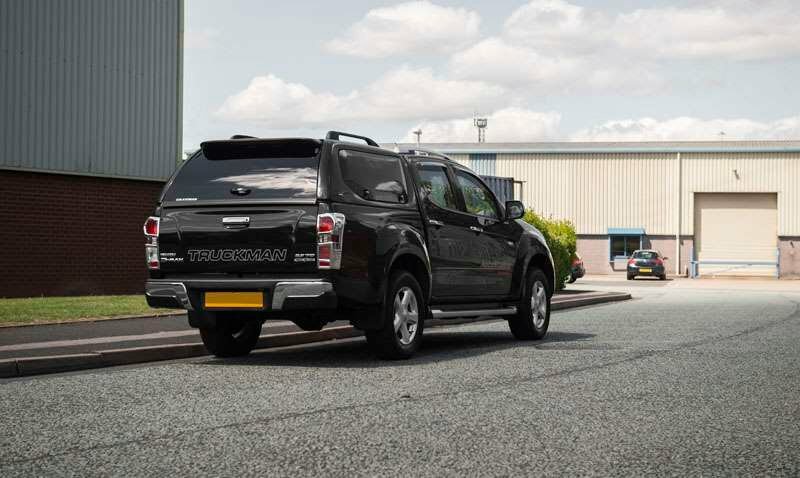 For the same money, the mid-range 'Yukon' includes 18-inch alloy wheels, silver side steps, a 7-inch multi-function touchscreen, LED rear lights, Cruise Control, a rear load liner and a leather steering wheel. 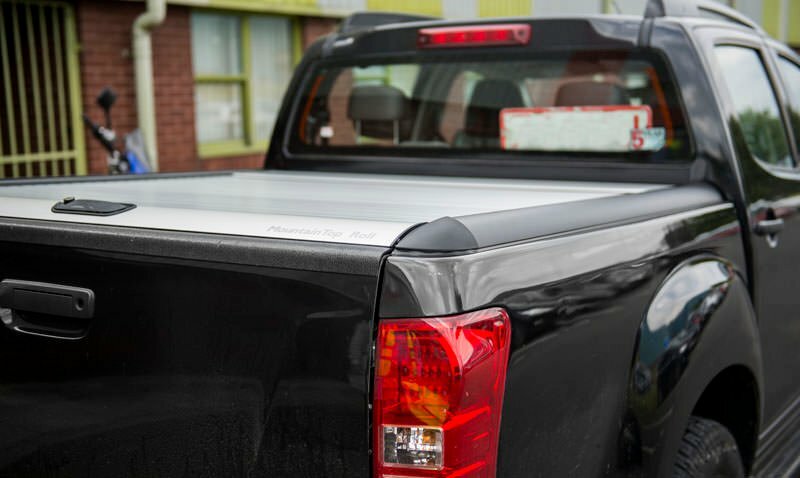 The plusher 'Utah' (from just over £25,000 ex VAT) takes comfort up a notch with keyless entry with push button start, Apple CarPlay and Android Auto, satellite navigation, a DAB digital radio, roof bars, leather upholstery with heated front seats, rear parking sensors and automatic air conditioning. 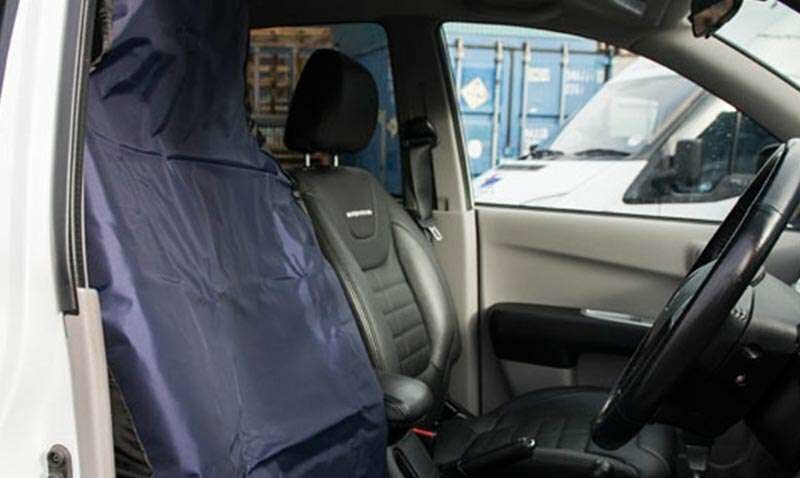 Finally, the range-topping 'Blade' (from around £28,000 ex VAT) adds tinted windows, a 9-inch multi-function touchscreen, a remote locking lower tailgate, Blade puddle lamps, front and rear parking sensors and a colour-coded Aeroklas canopy or sports bar with roller cover. The key news here is that a 10kg drop in kerb weight has resulted in a payload increase of 10kgs. 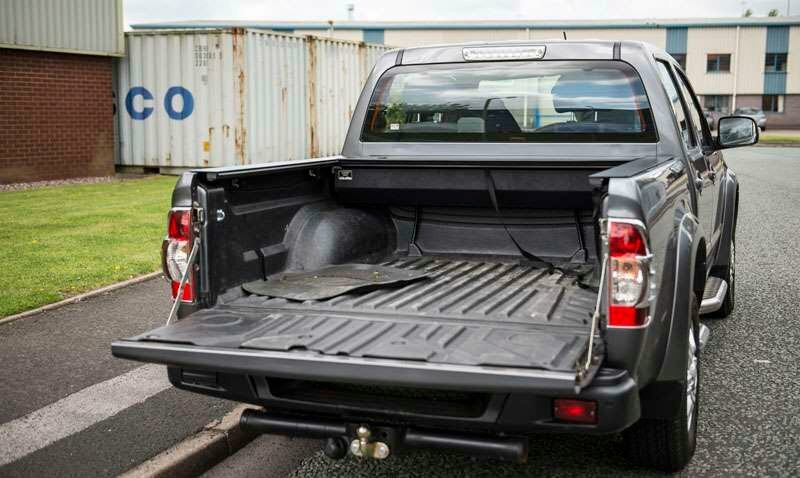 On to the loading practicalities, which we'll base around the double cab variant that most UK customers will want. 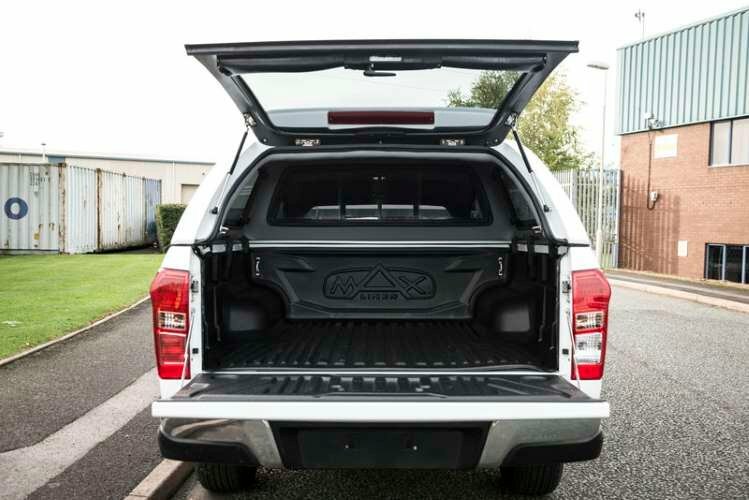 At around 5.3m long, this is certainly a pretty large vehicle, so you won't be surprised to flip down the sturdy drop-down tailgate (which can only retract to horizontal level because of the chunky bumper) and find a pretty substantial cargo area on offer. 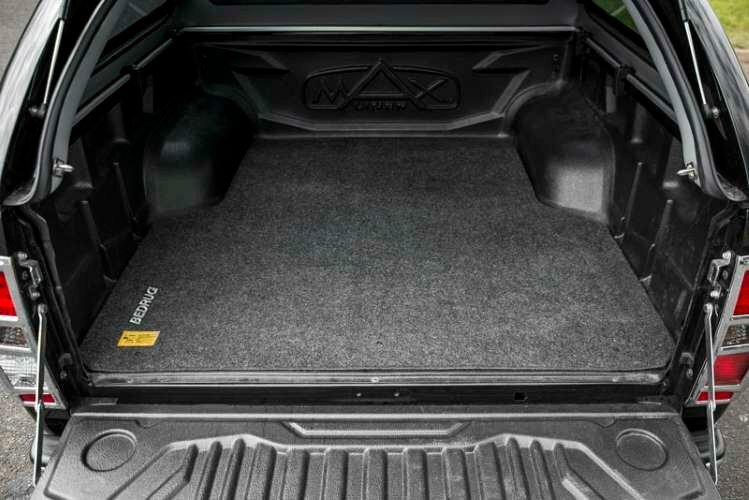 You'll find a space 1485mm long, 1530mm wide and 465mm in depth easily big enough for a euro pallet which can slide in the 1110mm-wide space between the wheelarches. 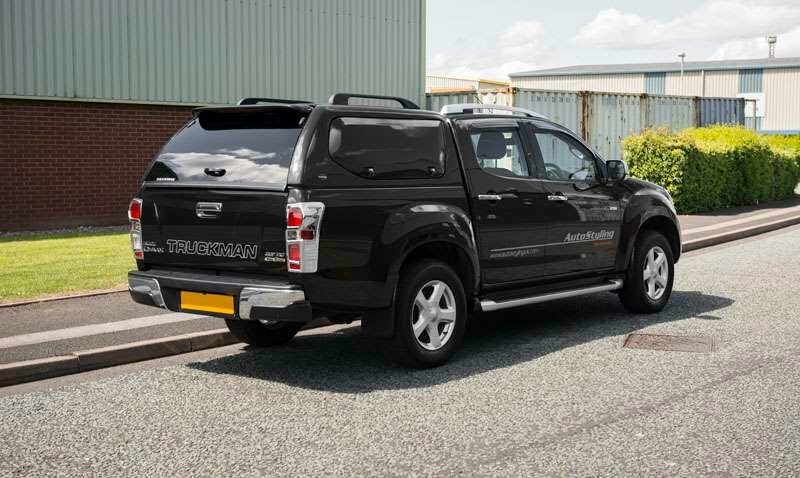 You get a five-year / 125,000-mile transferable warranty which helps beef up those residuals and reinforces the reputation for durability and ruggedness for which Isuzu pick-ups have become renowned. Not that you're likely to need it. In development, this design underwent over four million kilometres of endurance testing, the equivalent of 100 times round the world. 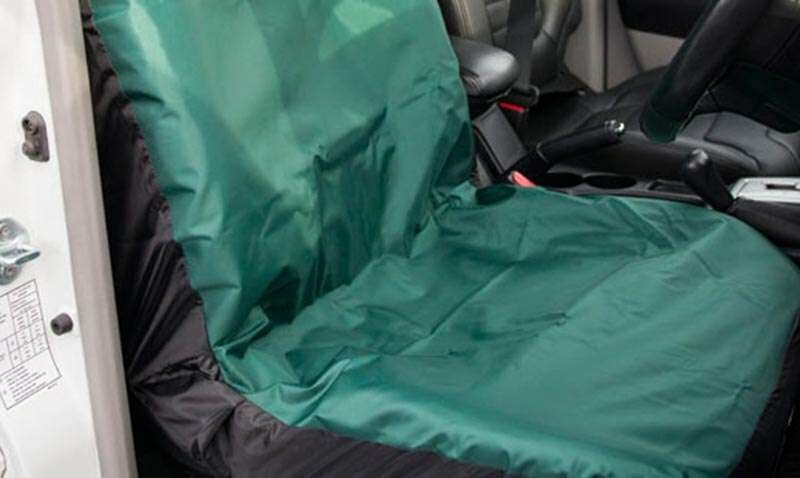 There's also three years of roadside recovery and assistance, a three-year paint warranty and six years of anti-corrosion cover. What else? The new 1.9-litre engine meets Euro 6 standards without the need for addition of AdBlue and its CO2 return is 163g/km - comparing well with the 192g/km figure of the old 2.5-litre unit. Servicing is every 12,000 miles or 24 months. And around 35mpg should be possible on the combined fuel economy cycle. 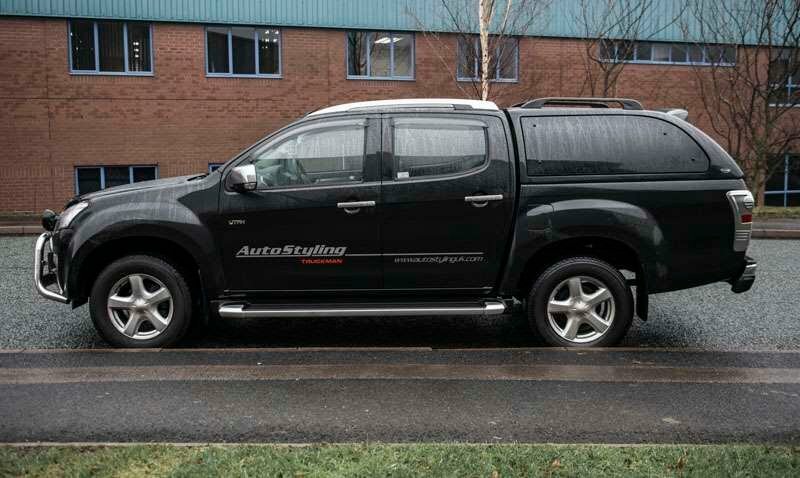 A very comfortable and practical vehicle and also looks fantastic. It is too early to comment on running costs as it has only covered 125 miles. The interior does come across as a bit on the cheap side and the brown leather seats do not go with the dark grey interior but apart from that I'm very pleased. 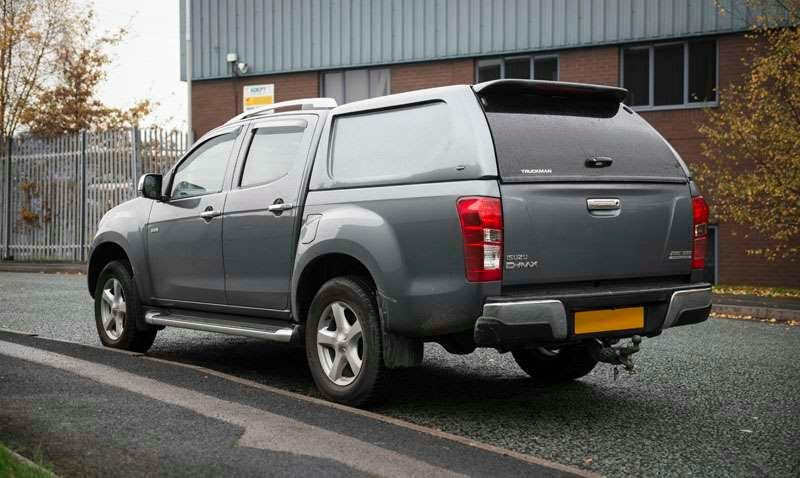 There are currently no customer questions for the Isuzu D-Max Diesel 1.9 Utah Double Cab 4x4. Do you have a question? If you don't want to give us a call, click here to ask your question and we'll respond in four working hours. Our opening times are Mon to Fri 8am - 10pm, Saturday 8am - 8pm and Sunday 10am - 8pm - including bank holidays. Rentals are subject to VAT. Business customers only. Photos and videos are for illustration purposes only. Some vehicles may be pre-registered. 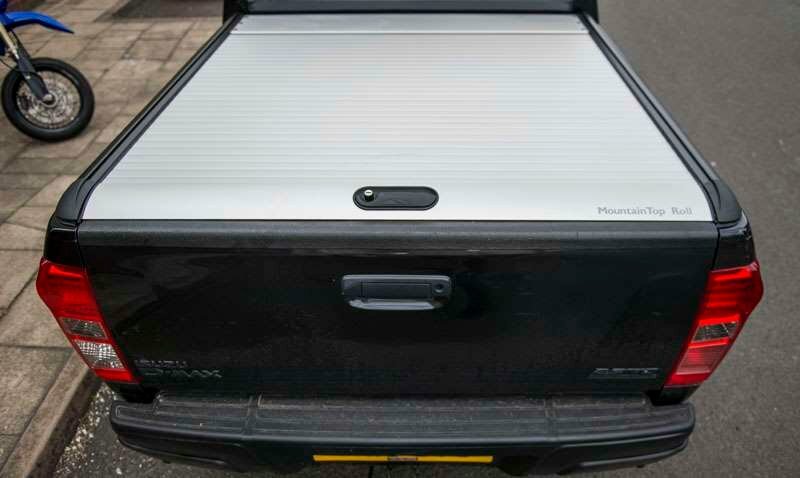 If you require a 16 plate, please make sure you let us know when you order. Want the flexibility of multiple options at the end of the contract. Want to build up equity over the contract without taking ownership. 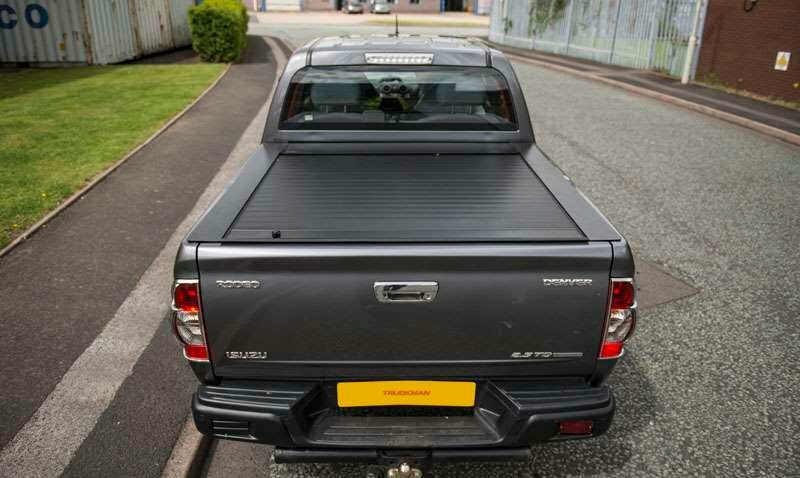 Do not want to be tied to a contract which penalises them for vehicle damage or excess mileage. Are not VAT registered because VAT is paid on rentals rather than all upfront. Want a more expensive vehicle than their budget would normally allow i.e. A new vehicle instead of a used one. 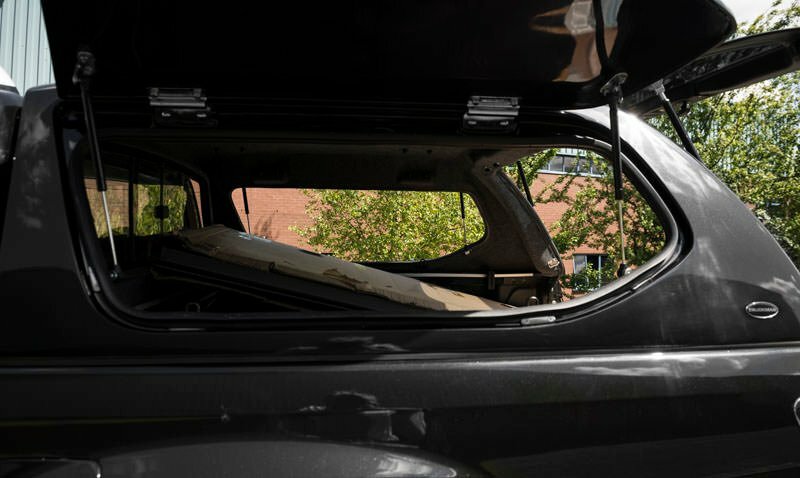 Know exactly how long they want to keep the vehicle and a good idea of the mileage they will be doing. 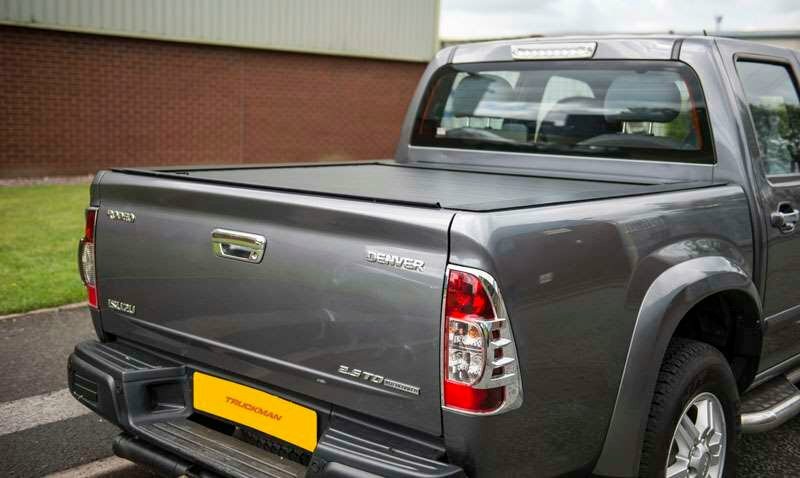 Want to avoid the risk of depreciation and maintenance costs. Want fixed cost, stress free motoring. Are not worried about owning a vehicle. Want ownership of the vehicle at the end of the contract. Want multiple options at the end of the contract. 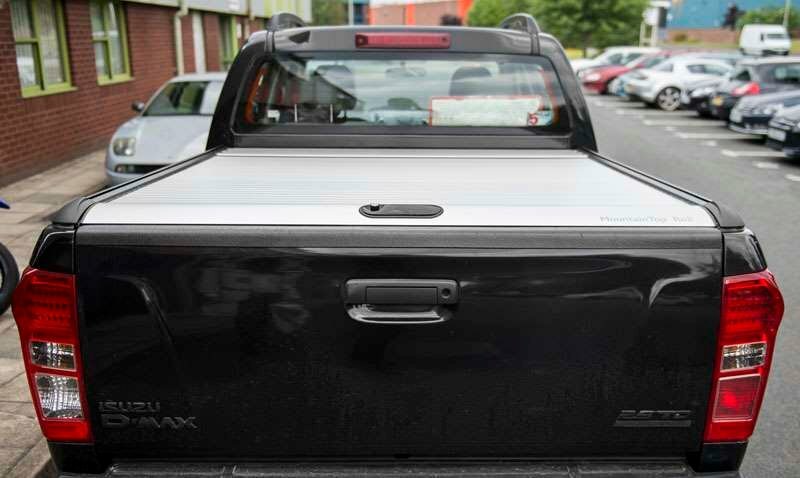 Can pay all of the VAT in relation to the vehicle up front.